Mr. S. contacted OLHI seeking help with the approval of his disability benefits. The OLHI Dispute Resolution Officer (DRO) who took his call learned that he had purchased a vehicle some years before and financed the purchase with a loan. At that time, he signed up for group creditor insurance that would pay his monthly car loan payments in the event he became totally disabled. Thereafter, Mr. S. was diagnosed with a terminal condition. He applied for the disability benefits but his claim was denied on the basis that it was out of time. Our DRO was able to determine during the call that Mr. S. had not received the insurer’s final position letter. He advised Mr. S. that he would need to complete his insurer’s internal complaints process before OLHI could review the complaint. Mr. S. was provided with the contact information for the insurer’s Ombudsman. 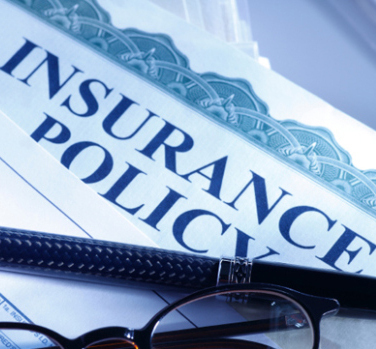 About a month later, Mr. S. called back upon receipt of his insurer’s final position letter. The DRO explained that OLHI would open a complaint file once Mr. S. signed and submitted OLHI’s Authorization Form and other relevant documents. Thereafter, OLHI would request documents from the insurer and both he and the insurer would be notified in writing that the complaint was under OLHI’s review. Upon receipt of the documents from both parties, it appeared to our DRO that Mr. S. might have a reasonable case. She recommended that the complaint be transferred to an OmbudService Officer (OSO) for further investigation. The OSO reviewed the sequence of events. Mr. S. last worked in October, 2010. In 2009, he had bought a new car and, through the dealership, purchased creditor life and disability insurance with a single premium that was spread over his monthly car payments. Following his disability diagnosis in the fall of 2010, he applied and was approved for CPP disability in June 2011. Mr. S. was under the mistaken impression that he had to apply for the CPP disability benefit before applying for any other benefits. His anxiety over his disability diagnosis and the consequent need for him to focus on daily living activities had caused him to lose track of the fact that he had creditor disability coverage. Mr. S. filed his claim in August 2011. The insurance policy required him to provide his insurer with notice of the events giving rise to the disability within 30 days and to provide medical evidence establishing his claim within 90 days of onset of disability. As a result, the insurer’s final position letter denied his claim on the basis that it was filed too late. The OSO spoke to Mr. S. and explained the reasons why the insurer was within its rights to rely on the time limitations set out in the policy. However, he suggested that it might be possible to obtain a settlement whereby the loan payments would be covered from the date the insurer was provided with notice of the claim. Mr. S. readily agreed that this would be an acceptable resolution of his complaint. The OSO subsequently made a detailed written submission to the insurer, suggesting it pay the benefits from August 2011 onwards. The basis for this suggestion was that the disability was clearly established and the insurer was not prejudiced if the claim was admitted on a “go forward” basis. The insurer responded in short order, agreeing to allow the claim from the date it received notice. This resulted in Mr. S. receiving a reimbursement for the payments made by him while he disputed the claim with his insurer and during OLHI’s complaint process. The insurer also paid the loan instalment payments from that point forward. This entry was posted in Case Study and tagged anxiety, creditor, disability, life, loan. Bookmark the permalink.